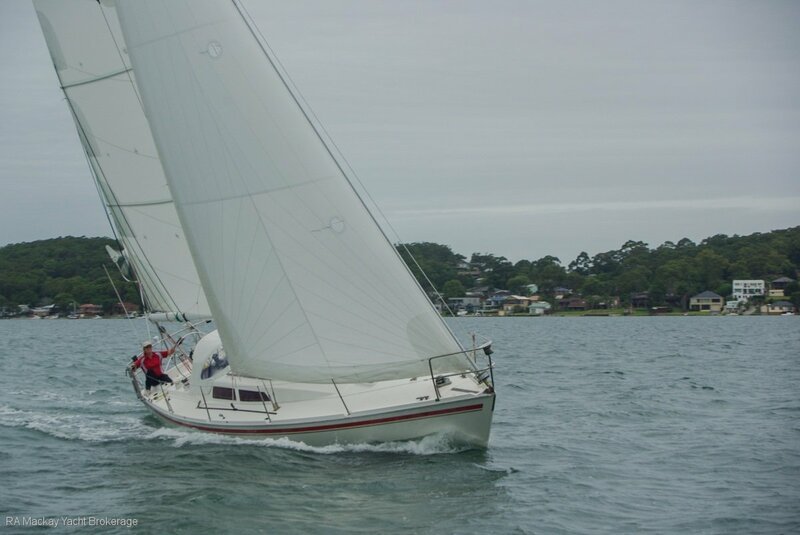 Popular Australian built cruiser racer with great sailing pedigree. 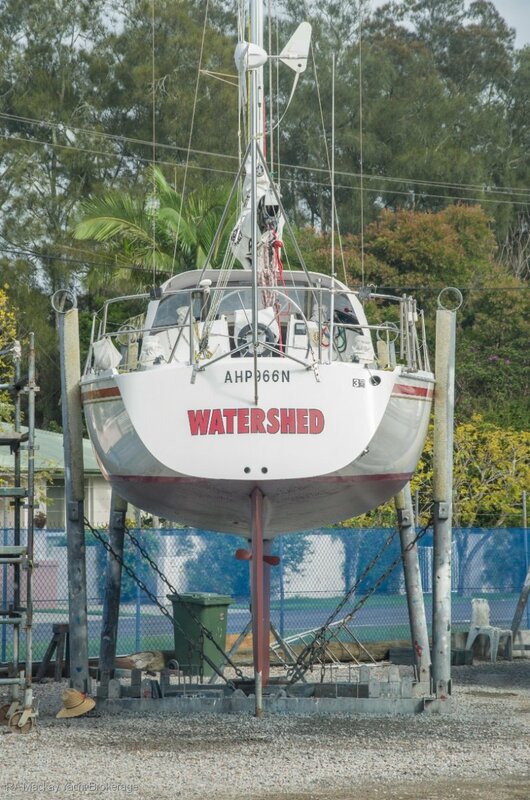 "Watershed" is in excellent condition and was repowered with a new Yanmar three cylinder 30 HP shaft drive diesel in 2012. 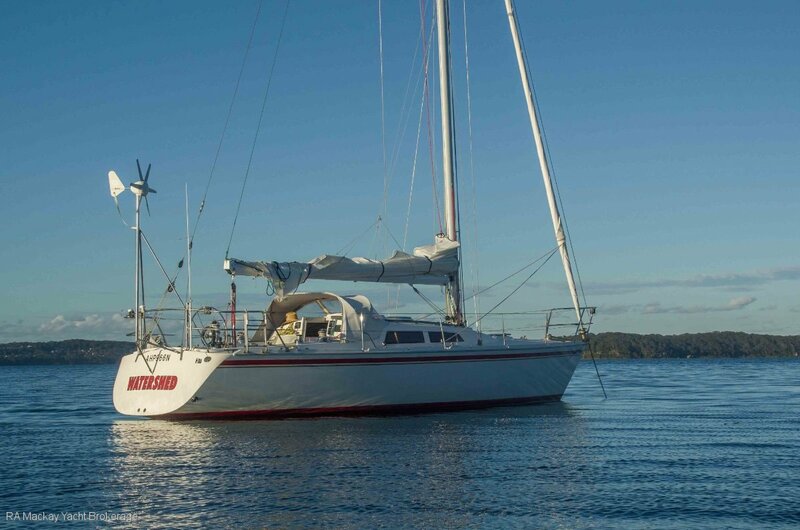 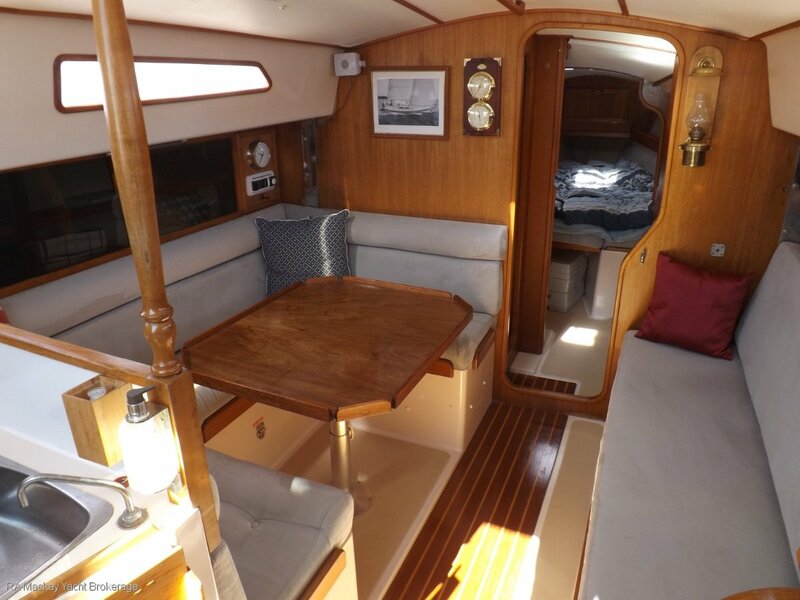 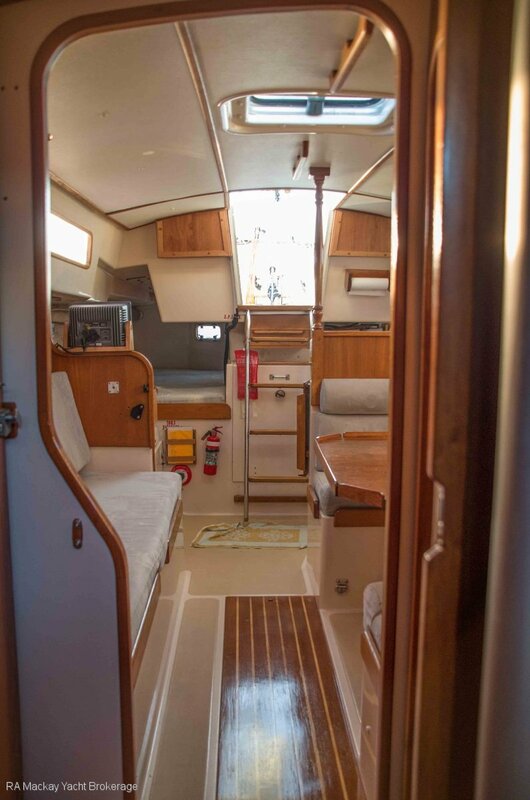 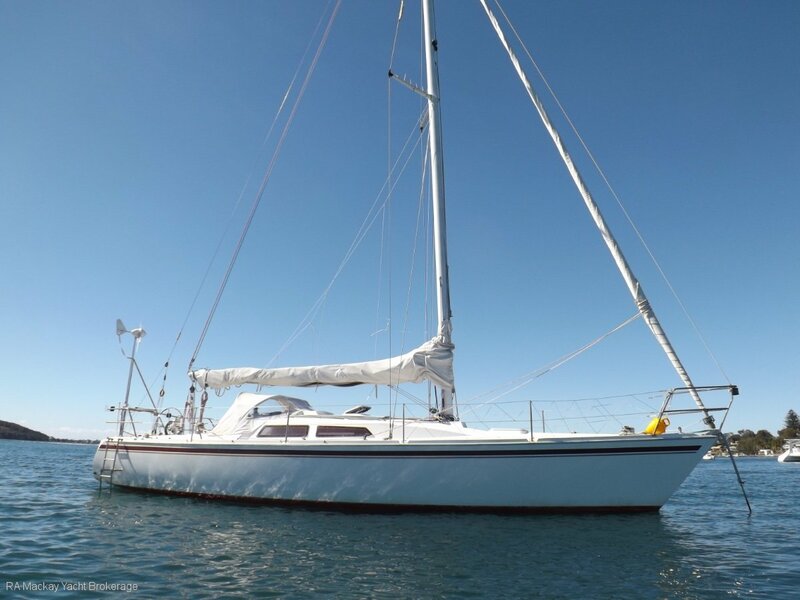 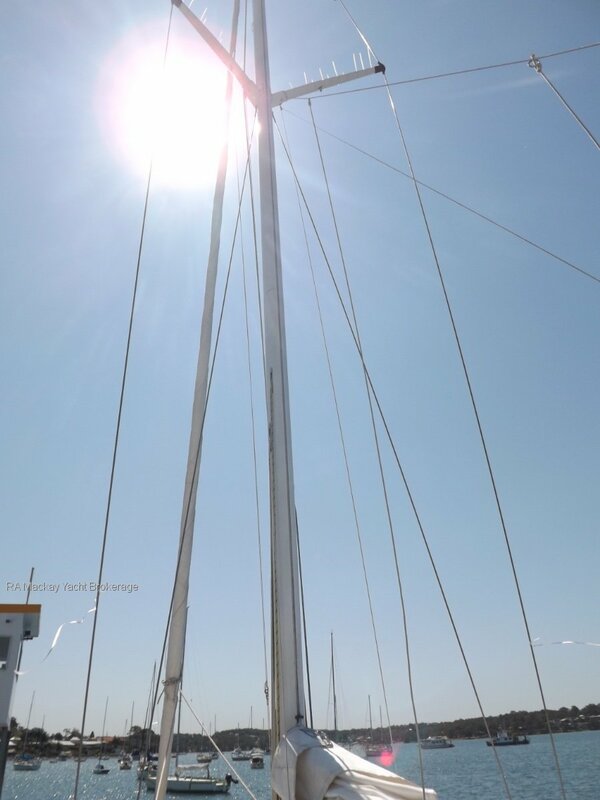 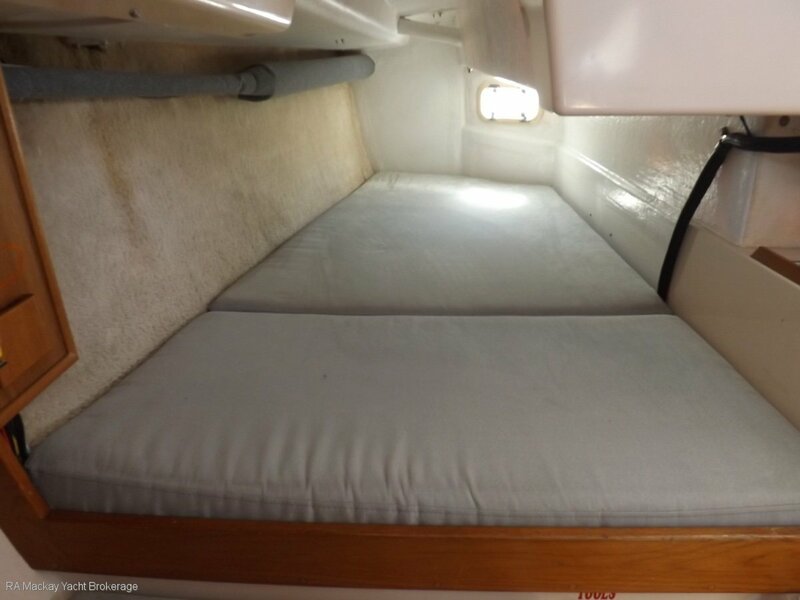 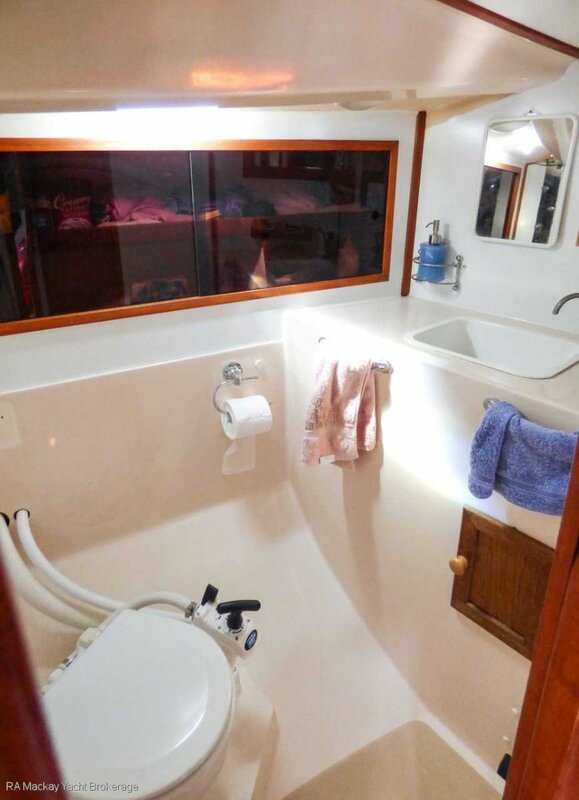 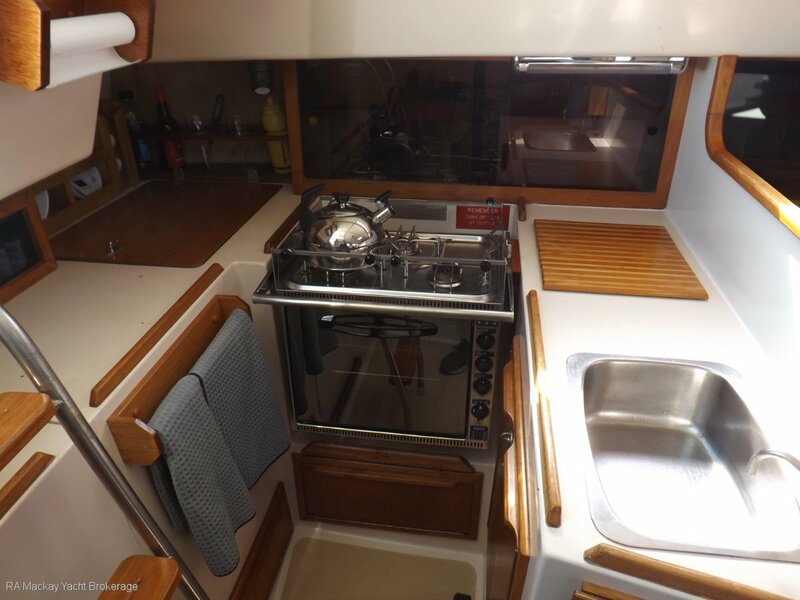 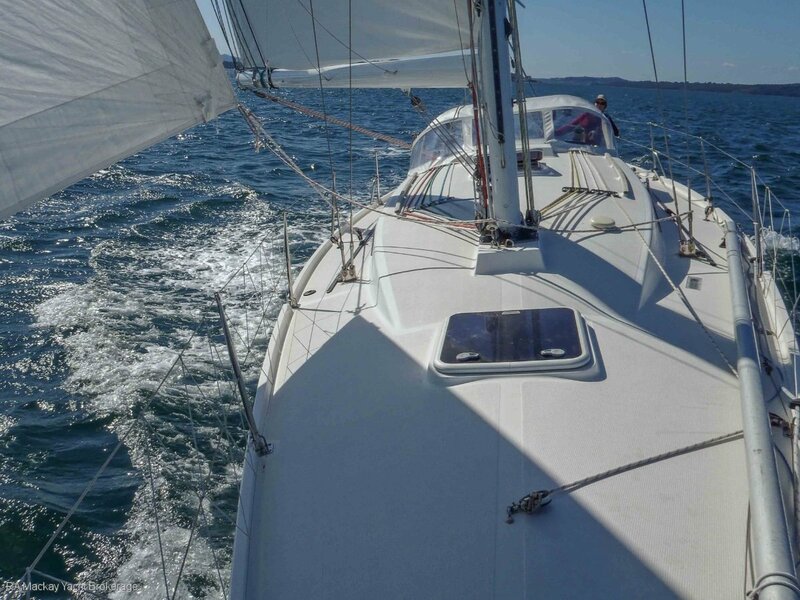 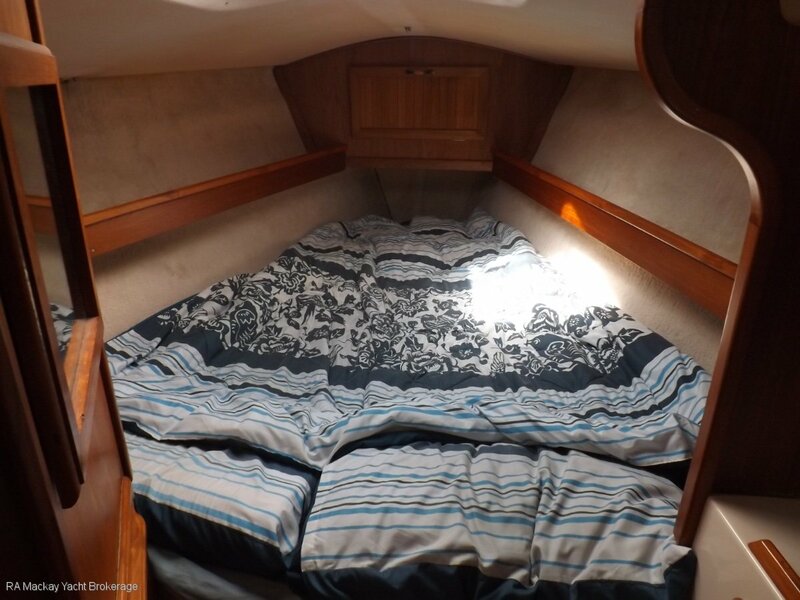 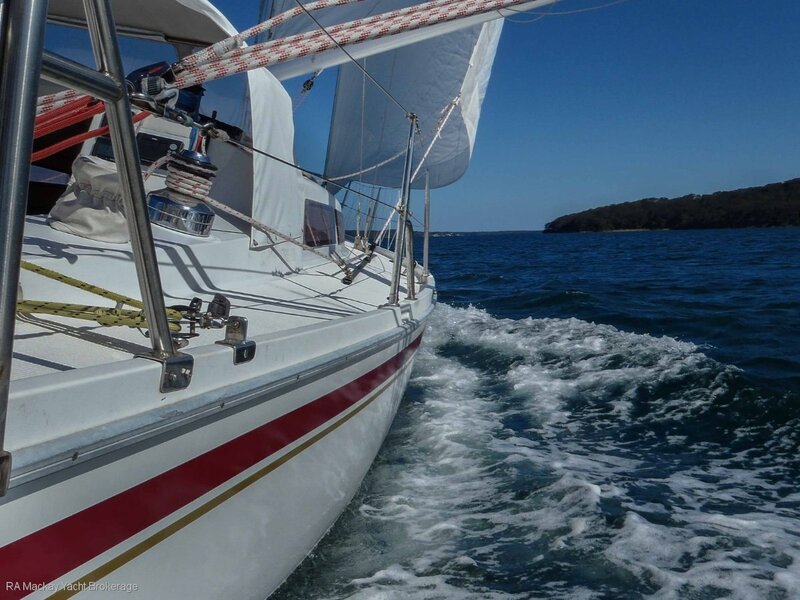 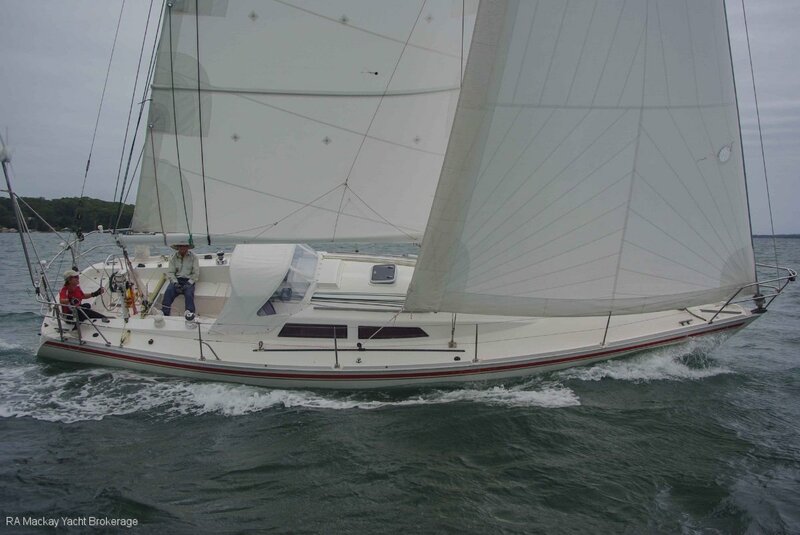 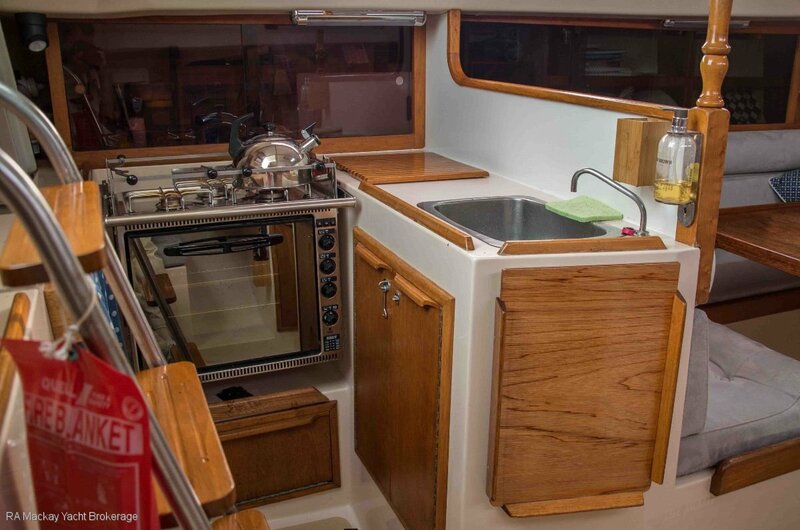 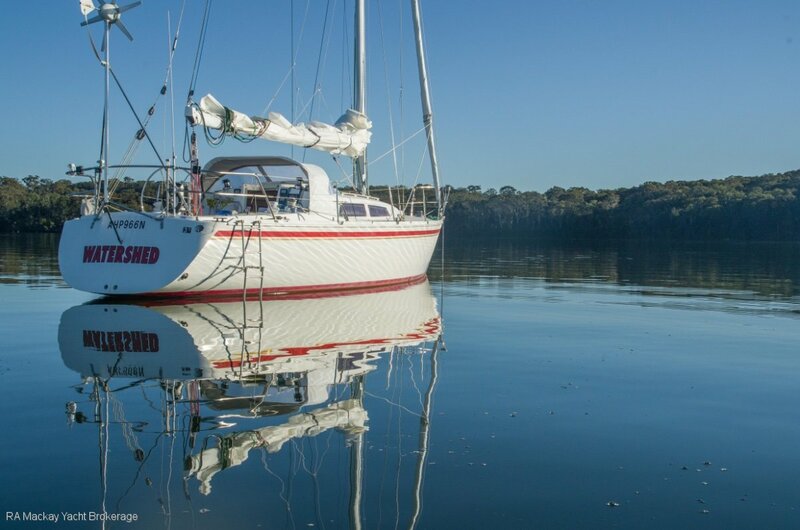 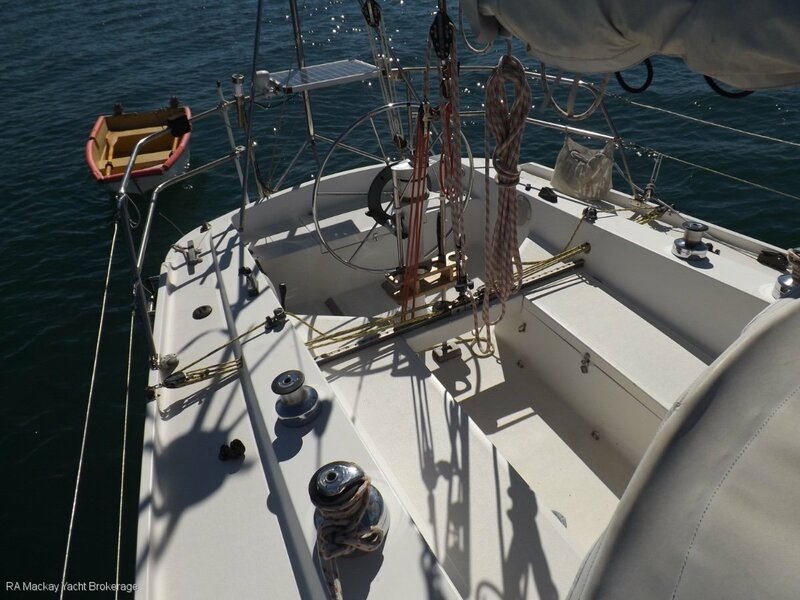 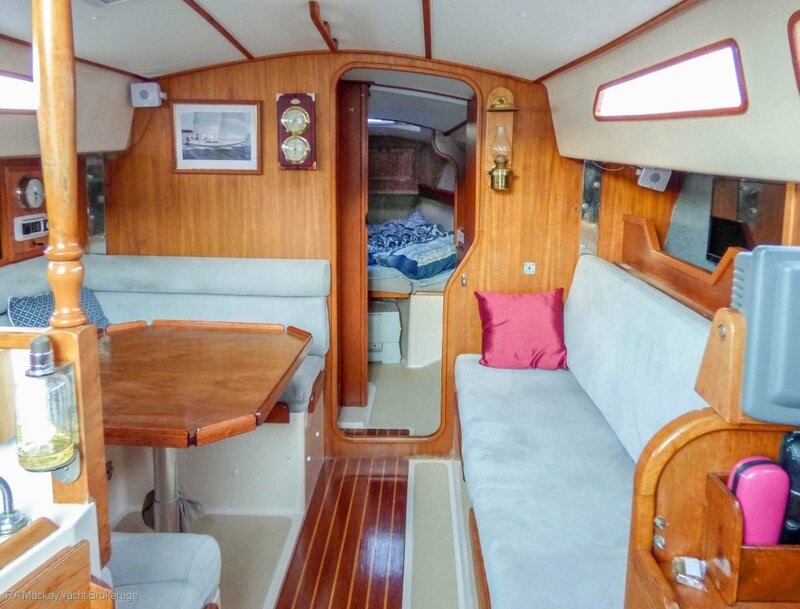 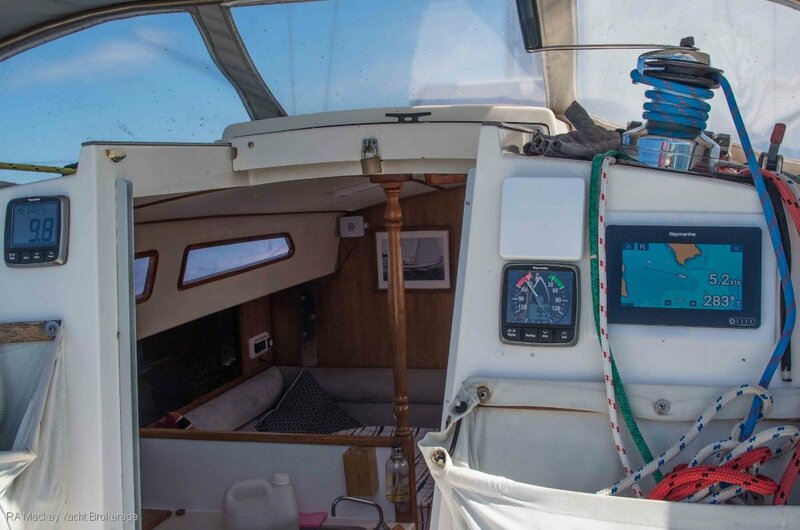 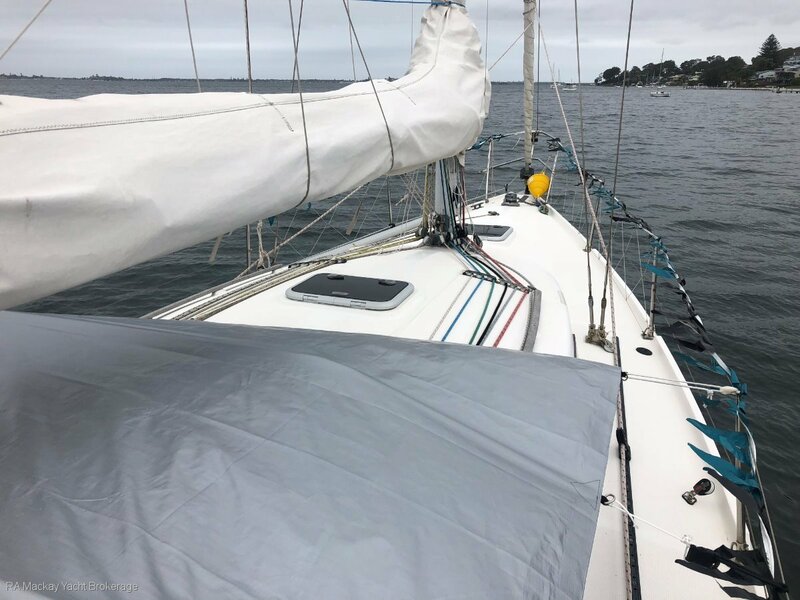 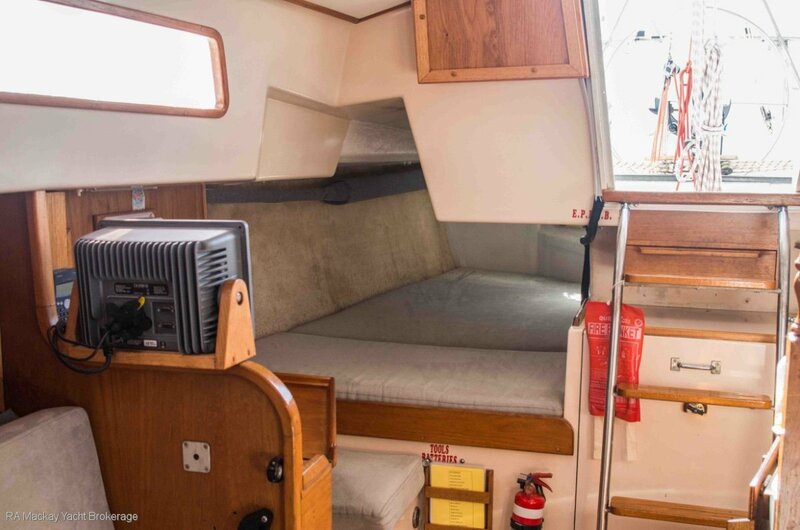 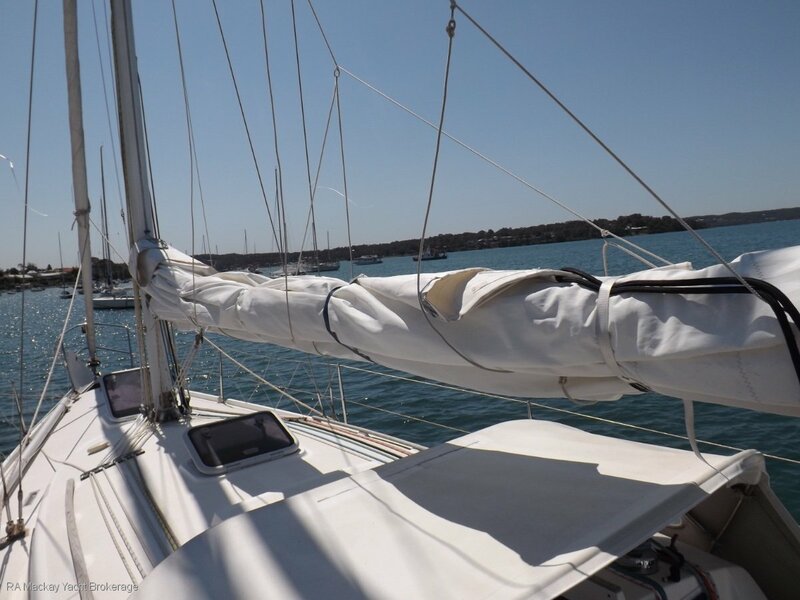 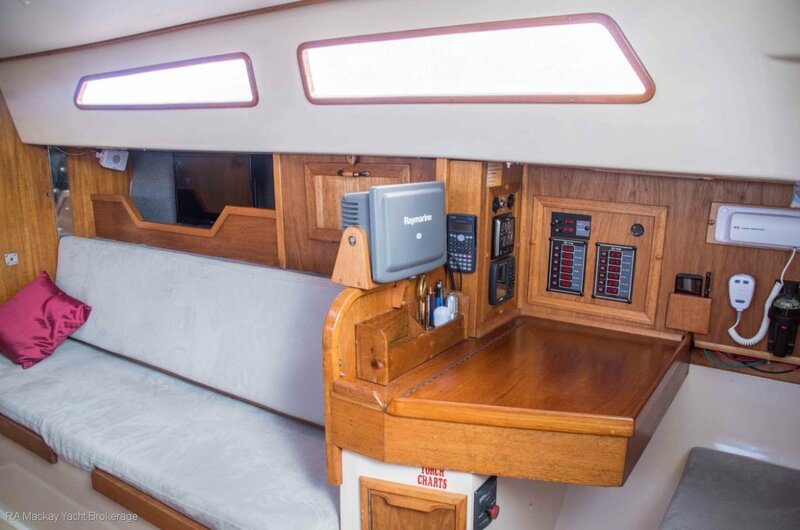 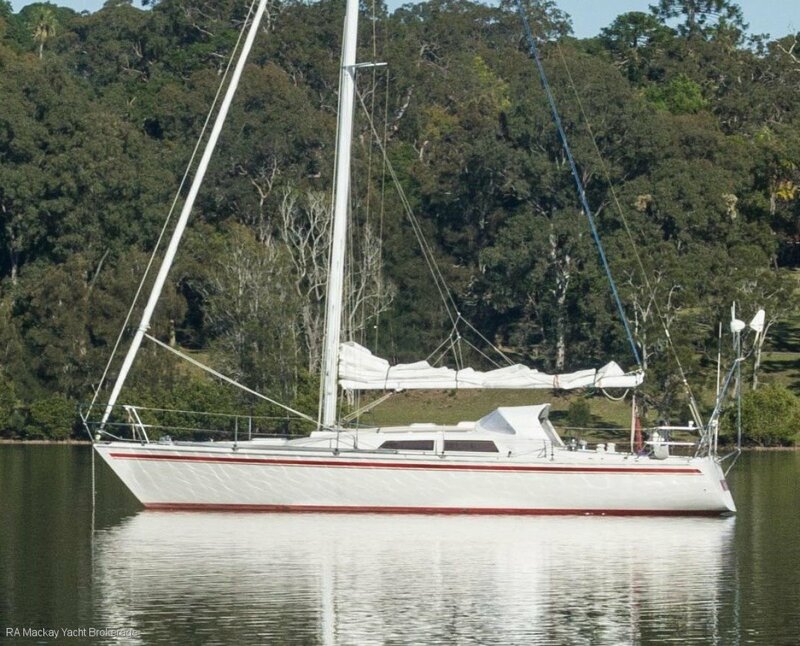 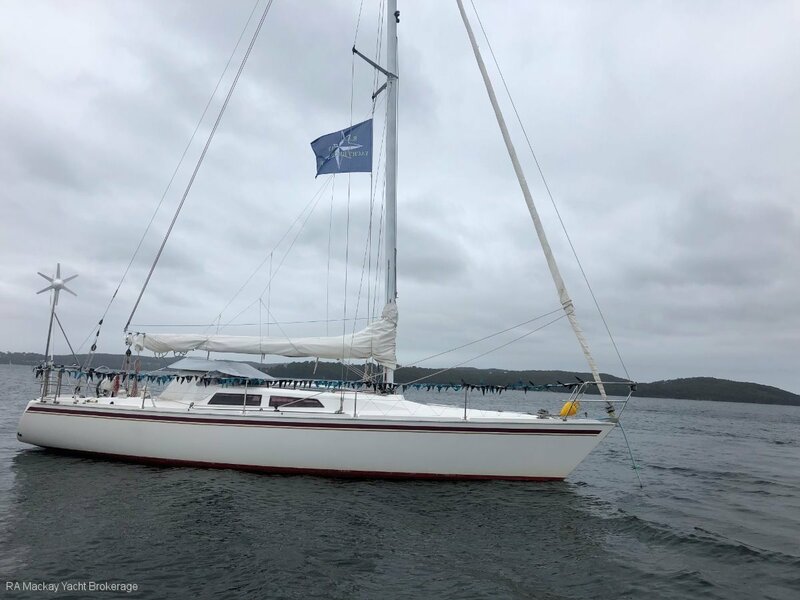 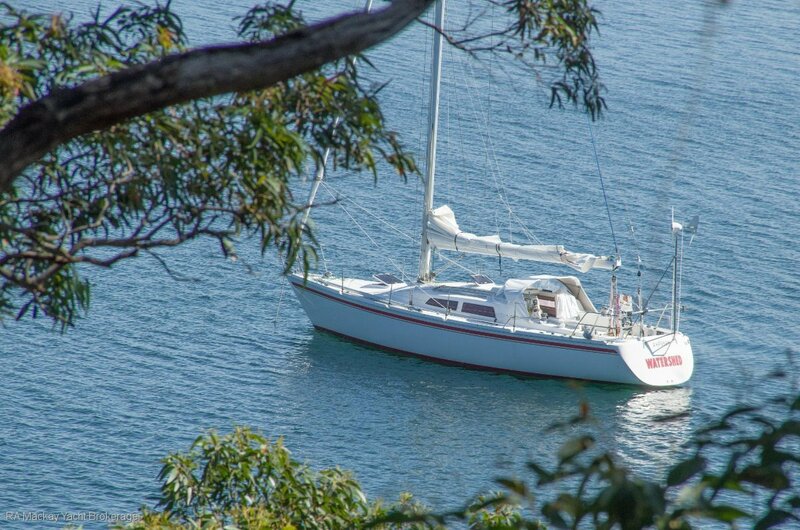 She has an extensive inventory including a Raymarine electronics package (wind, speed, depth, GPS chartplotter x2 and autopilot ), solar panel and wind generator, spray dodger, two separate cabins and fold down dinette, 12v fridge, hot water system, gas stove/oven/grill, good suit of cruising and racing sails. 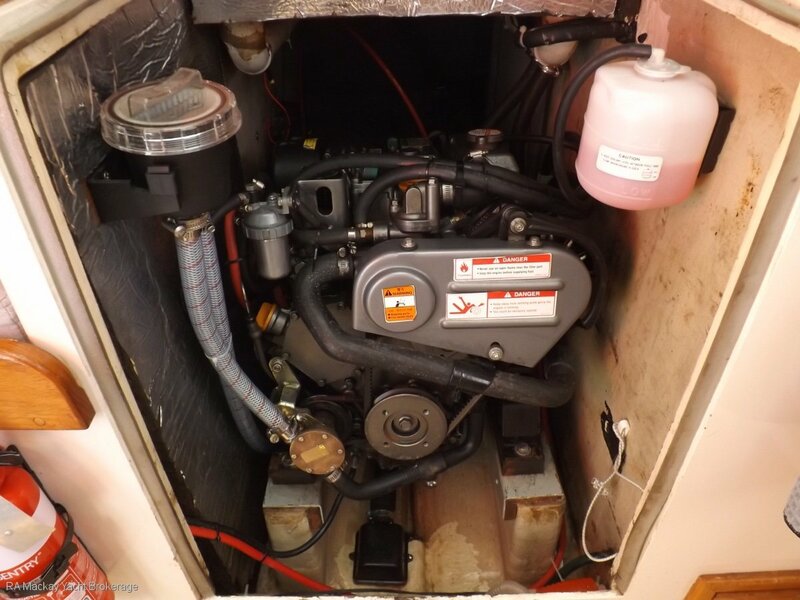 Manual through hull pump out. 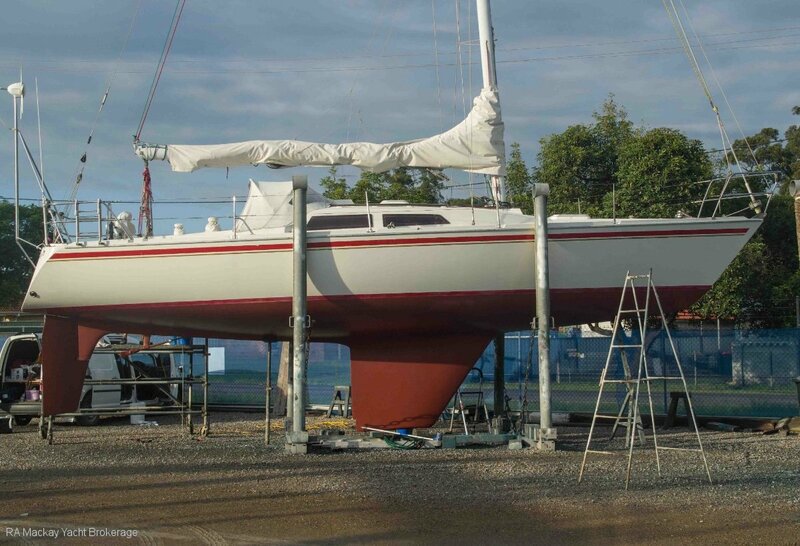 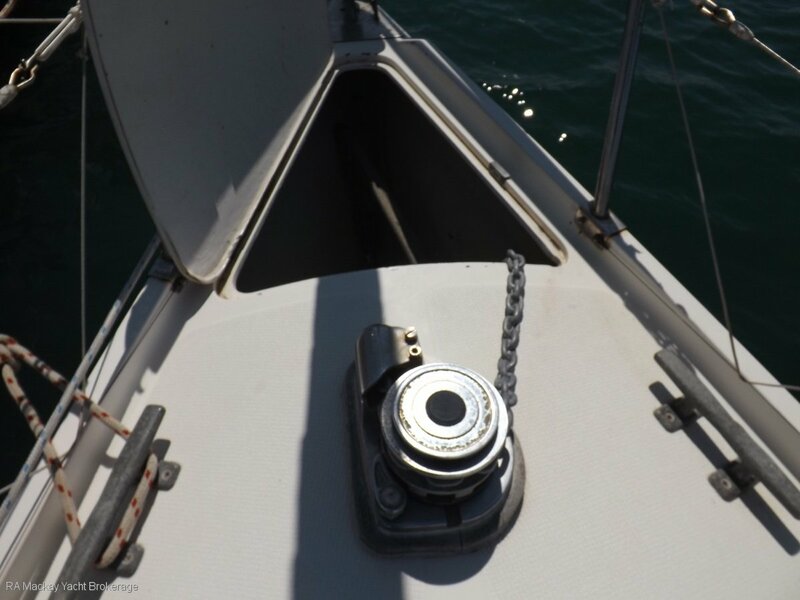 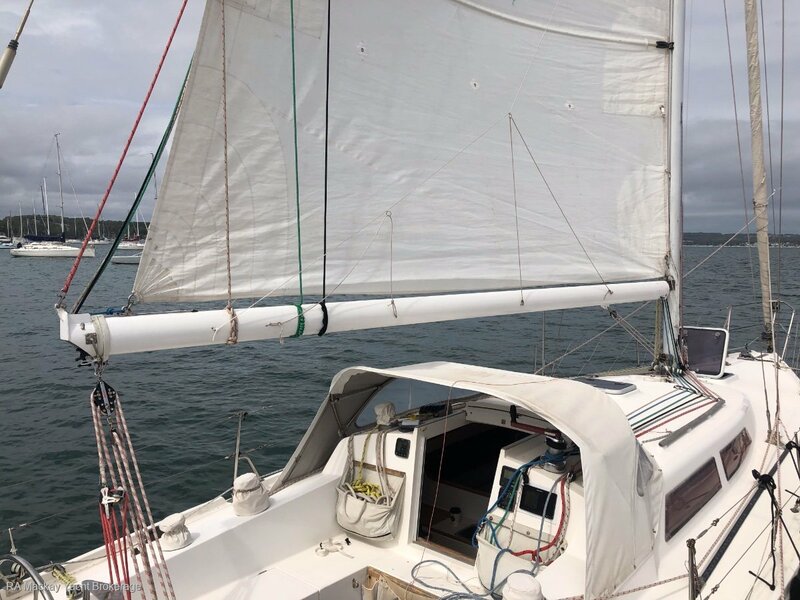 Single spreader fractional rig with genoa furler and spinnaker pole.